In Stock. 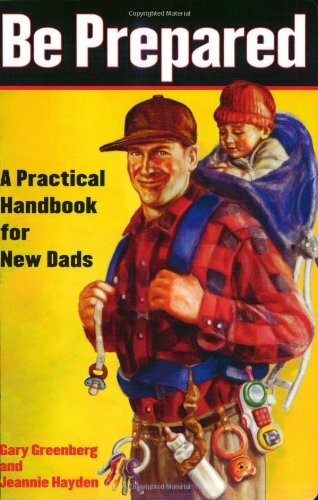 Sold by HighSpeedDaddy and Fulfilled by Amazon. Gift-wrap available. LARGE SIZE - The main compartment is large enough to fit extra clothing, toys, and blankets for not only one, but TWO kids if needed. 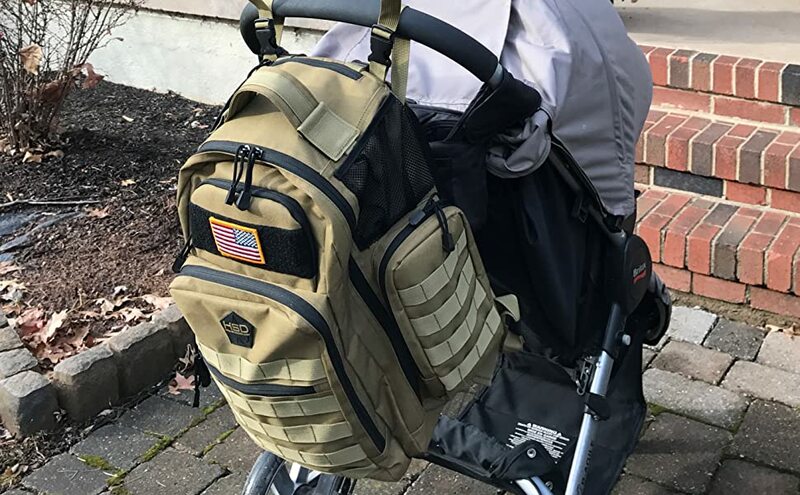 Also features a padded hydration bladder or laptop pocket that doubles as a great place to store your tri-fold tactical diaper changing mat to make life easier for the tactical dad OR tactical mom. 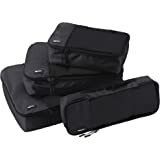 STROLLER STRAPS - Top stroller straps allows you to hook the bag to your stroller helping keep your hands free when needed. 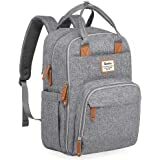 Comfort is achieved through the contoured shoulder straps and back padding which has mesh foam cushions and a vented air design with a waist belt and sternum strap for heavy loads. DIAPER CHANGING MAT - The large diaper changing mat is big enough to not only protect your baby when they are newborn, but also when they grow into the toddler stage as well. 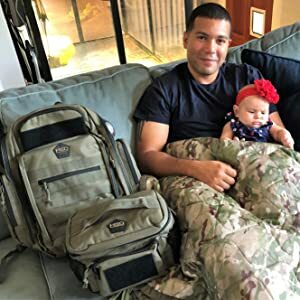 LIMITED LIFETIME WARRANTY - Our products have been tested and evaluated beyond the normal rigors of a diaper bag by members of the United States Military in urban and field environments. It is our goal to provide you durable products that will stand the test of time regardless of the situation in which you may find yourself. Sold by HighSpeedDaddy and ships from Amazon Fulfillment. Sold by F-Bomb Morale Gear and ships from Amazon Fulfillment. Ships from and sold by Ivamis Trading. 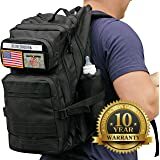 Tactical AND Practical - This multi-use diaper bag backpack is the only one you'll ever need for any event, even after the kids are out of diapers! Do you like carrying that flowery diaper bag clutch that barely fits the essentials needed for a daily outing with your kid? 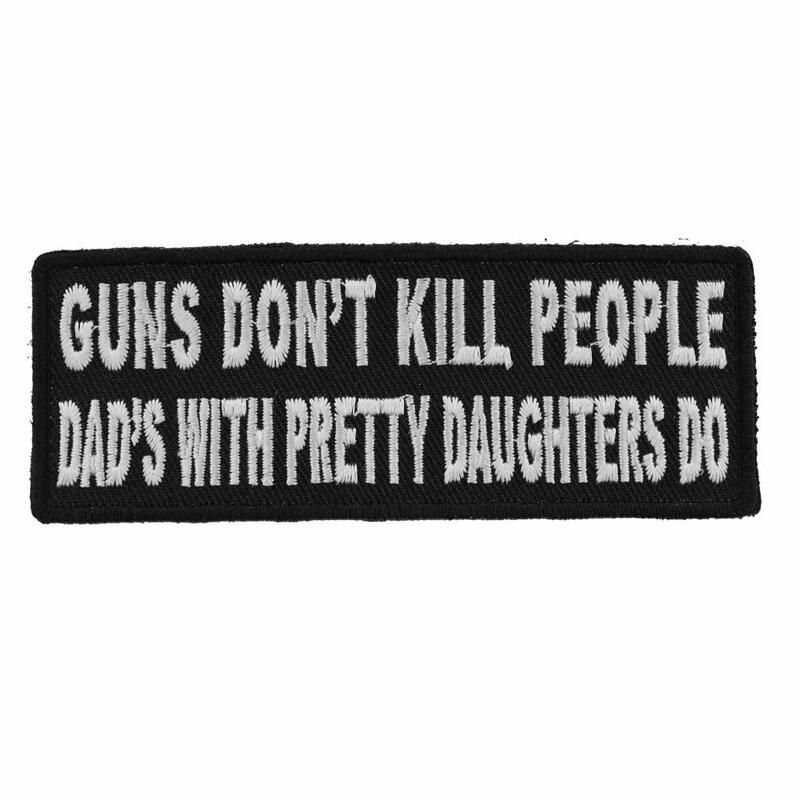 Good, neither do we! 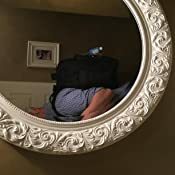 How annoying is it when that single shoulder strap slips off your shoulder when you have your baby in one arm and you're holding your second kid in your other arm? Yes, those bags aren't the most practical when you need to actually use both your hands. We've solved these problems and many more for you. 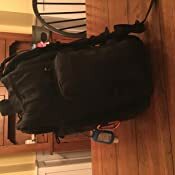 Introducing the original HSD Diaper Bag Backpack! 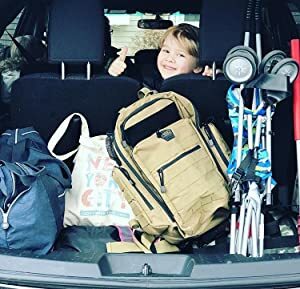 No longer do you have to carry a generic backpack without amenities specifically suited to make your life easier for baby and toddler care – such as insulated bottle pockets, quick access to baby wipes, extra large diaper changing mat, and stroller straps (all which are included with the HSD Tactical Diaper Bag Backpack). 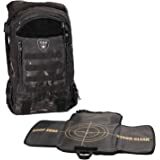 Now you can wear and use something made of tactical materials with a look and feel of strength and durability. Here’s a secret though – it doesn’t even have to be used as a diaper bag. 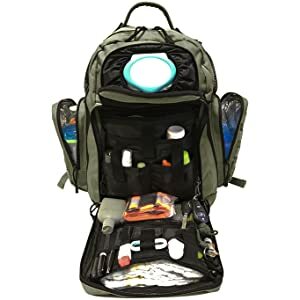 The possibilities are endless, but this bag is PERFECT for you to take on any outdoors activity– hiking, fishing, hunting, shooting, climbing, mountaineering, etc. 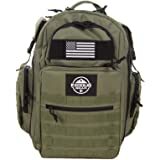 It could also be used as a school book bag, gym bag, bug out bag or the like. 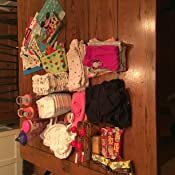 And guess what - we have customers that are using these bags for ALL these activities and more - and YOU could too! 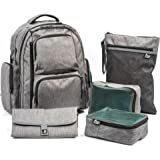 Big enough to carry items for MORE than 1 kid! 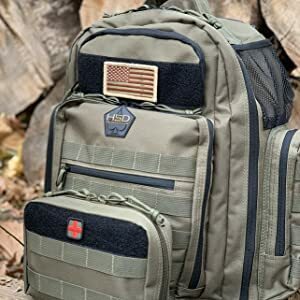 The possibilities are endless - hiking, at the range, on patrol, with kids, for school, at work...you name it, this bag will do it. Want a bag to take outdoors, but not worry about rips or tears? The 600D waterproof polyester keeps all contents inside dry while giving the bag the durability to last for years of use and abuse. Parent tested, kid approved. Take it anywhere and everywhere, it'll definitely make your life easier...just never leave home without it! Normally, we throw a laundry basket of this stuff in the car and just deal with it. I was able to get ALL of it in the backpack easily! 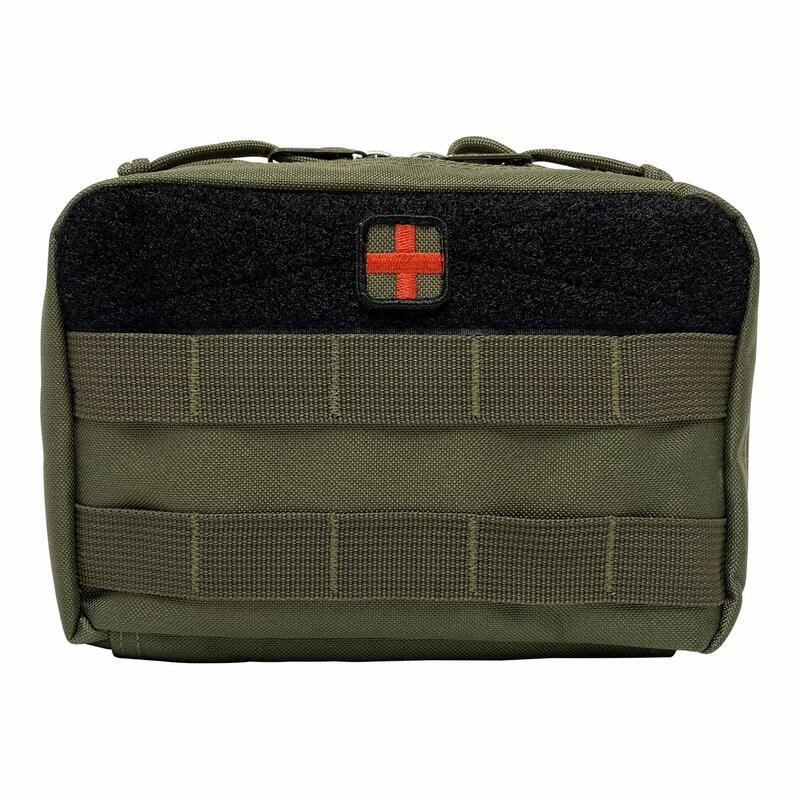 You've got a ton of compartments for organization, and a big, open pocket for stuffing things. With all of the above in the bag, it was easy to carry and not over-stuffed at all. I'm very excited to go out with the kids more and more. My wife even likes this bag. The main compartment unzips completely open so you can access everything without having to dig. It's the best money I've spent on a kid bag. ever. 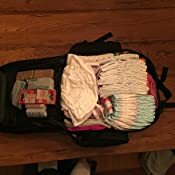 For a family trip (via air), I needed to pack enough stuff to keep three kids entertained, fed and with an extra change of clothes. This, combined with 2 kids in diapers meant packing a ton of stuff. It all packed nicely into the bag and fit comfortably on my back without feeling over-stuffed. 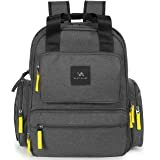 4.0 out of 5 starsAwesome bag and customer service. Does contain PVC if that's a concern for you. 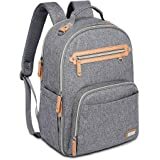 This bag is really well organized with lots of space, pockets, and inserts that are easily accessible, it's comfortable to wear and it's really everything I could want for organization and convenience. I also had some communication with the seller and he was very responsive and interested in my comments. The only reason this review isn't 5 stars is because the waterproofing lining is made with PVC, and when I opened my shipment it had an overpowering off-gassing chemical smell. I had bought the bag just as soon as it was restocked, so perhaps it didn't have the same amount of time to air out as the bags might normally. I try to limit PVC/vinyl in my home products--particularly when they are for baby--so I was sensitive to this ubiquitous "new plastic" smell that apparently other bag users hadn't noticed. I actually bought a second bag a little bit later just in case something had spilled on my bag in manufacturing, and the smell was still there but not nearly as bad, and both have aired out pretty well at this point so the smell isn't overpowering. I reached out to the seller about my PVC concern and he was very responsive and did some research with his manufacturer. He said that he had never had this comment before, but looked into it as he promised. Part of his response included: "Kudos to you, because we just received notice from our manufacturer that there is in fact a PVC lining that that coats the inside of the outer polyester. This is what provides the waterproofing for the bag. Now with that said, we actually pay extra costs for special "environmentally and child safe" PVC that conforms to the strictest USA testing criteria per California Standard CA65 which passes all Phthalate testing. Basically, this is the best fabric that our suppliers can get their hands on when it comes to this area." He also said that when this bag comes out with a 2.0 version, they will make it without PVC if possible. 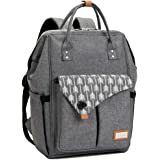 This diaper bag is really amazing, and customer service is great. While I wouldn't want PVC in a product directly for baby's use, in my own personal balance of things I think it's worth keeping this bag because it won't go in baby's mouth and any food in the bag will be separately packaged. A lot of folks may not mind the use of PVC, but I know many do, so I wanted to let you all know just in case that's a concern for you. 5.0 out of 5 starsWonderful company and owner! 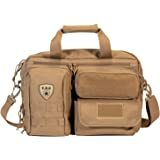 Excellent bag EXCEPT the MOLLE on the sides isn't sewn in very good, so don't use those ones. *UPDATE* After talking to the owner and creator of High Speed Daddy, he has informed me that a bad batch snuck through and that the problem has been rectified. He is making it right and this a testament to his character and company. He was very responsive to communication and highly receptive to feedback. THIS is the kind of man and the type of character that used to make US companies/products great. Thanks Craig! 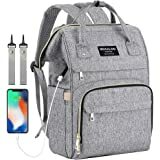 - The zipper: The zipper is easy to use and is very smooth, plus each has 2 zips so that you can have it open where you want. - Stroller straps. Perfect location with quick release and adjusters. 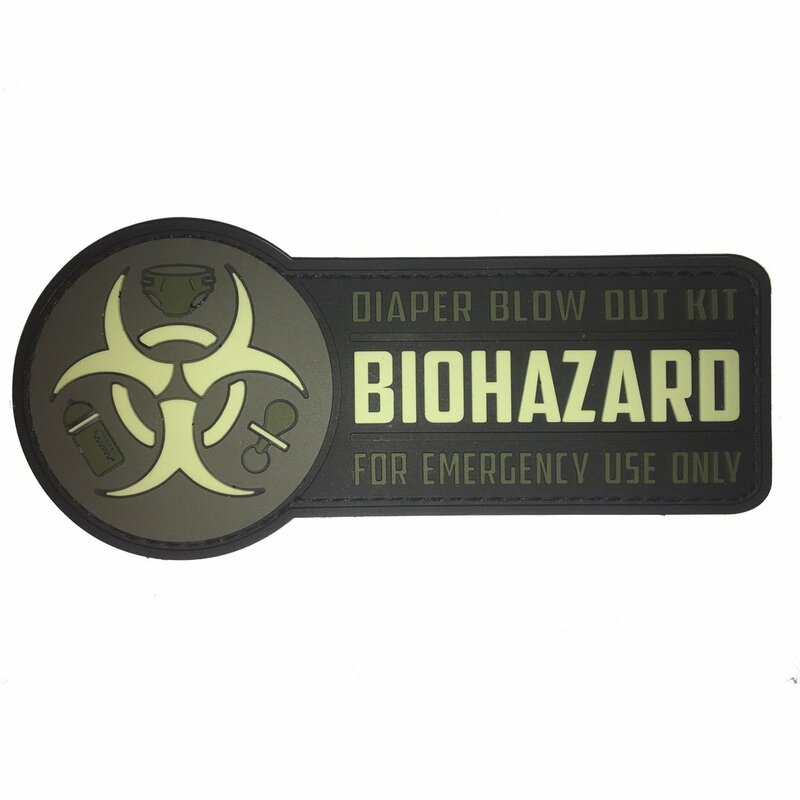 - Diaper wipe compartment. It's right on the front, easy to get to where it should be. - Top side pockets. I have 2 small flashlights, a multitool, and some playing cards in mine. Just enough room! - Insulates side zip up pockets. Great for a bottle/sippy cup for baby and a bottle of water for you! - Lots of pockets. Some have zipper compartments, some have Velcro fasteners. I'm literally trying to fill this bag with baby supplies as well as my things, but there's room to spare! Lots of hooks as well throughout for keys, tools, a whistle, you name it. 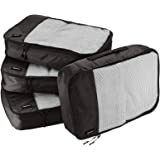 - Comfy padding/straps. This bag is how bags should feel when worn. Perfect for even hiking with. 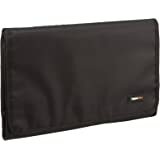 - Diaper changing pad included, a required item. -Velcro on the back for morale patches. - Equipped to use a bladder with Velcro holes to come through. I plan on eventually using this feature. 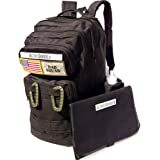 - MOLLE on the back and sides. This is what had the defect, but it was just a bad batch. 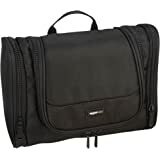 What can I say, I'm sold on this bag, and a hundred bucks isn't too bad!